With our spacious tasting room, award-winning wines and large porch, we hope that you will stay with us for the afternoon. We are open from 10am – 6pm daily and offer a wide range of wines. From our dry reds and whites to our sweeter house series (named after Ella the Elephant) and our fruit and specialty wines, there’s something here for every wine drinker in your group. We also offer local craft beers on tap, which change seasonally in addition to wine slushies and a hard cider. 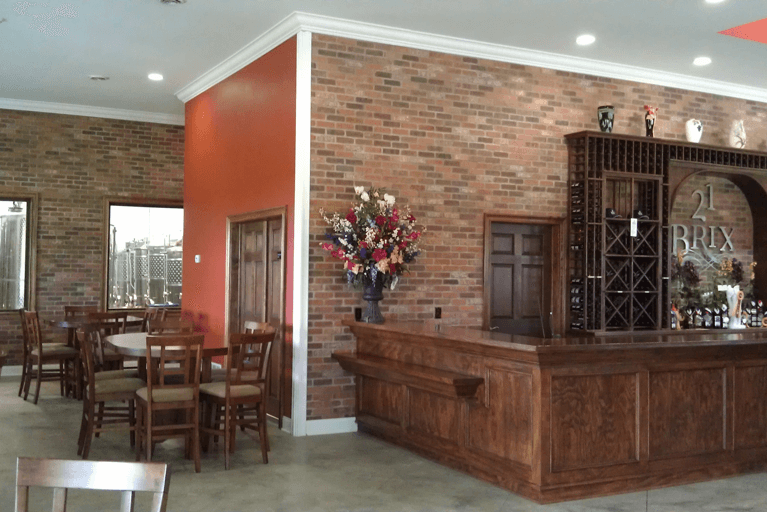 After enjoying a wine tasting, consider getting a glass or pint of beer to enjoy while relaxing in our tasting room while looking out over the expansive vineyards and cherry orchard surrounding us. We offer cheese and cracker platters, tortilla chips and salsa, and several bar food items including personal pizzas (from CJ’s Pizza in Westfield), Bavarian pretzels and a charcuterie platter. Our food menus do change seasonally. You are also welcome to bring in your own foods to enjoy. Our retail area offers many one-of–a kind items including 21 Brix Winery apparel, hand painted wine glasses and coasters. Picnic baskets, cork cages, wine tumblers and cheese platters are also available. Customized gift baskets can also be created for any holiday or occasion. 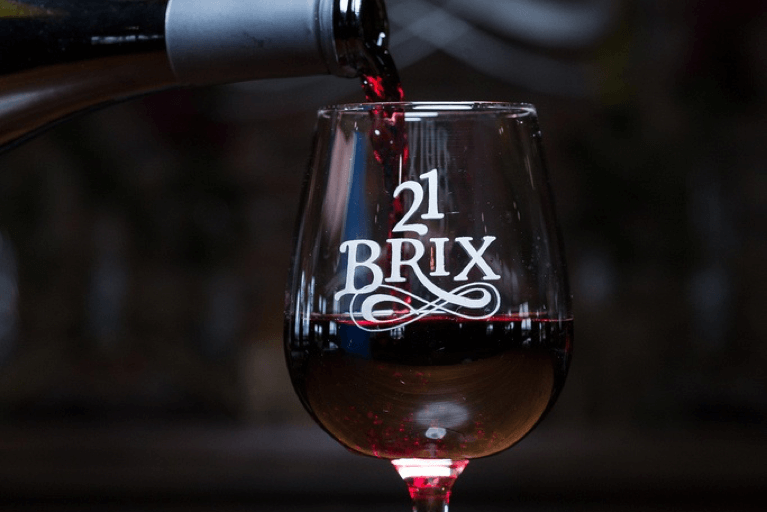 When planning your visit to 21 Brix Winery, consider joining us for one of our events including our Beats at the Brix Music Series, Soupin’ Sundays in the winter months or for our Fall Festival. Check out our Event Calendar for a listing of all upcoming events! If you’re interested in visiting our winery with a group (8+ people), please give us a courtesy call several days in advance. We do not take reservations but appreciate knowing when we can expect large groups! 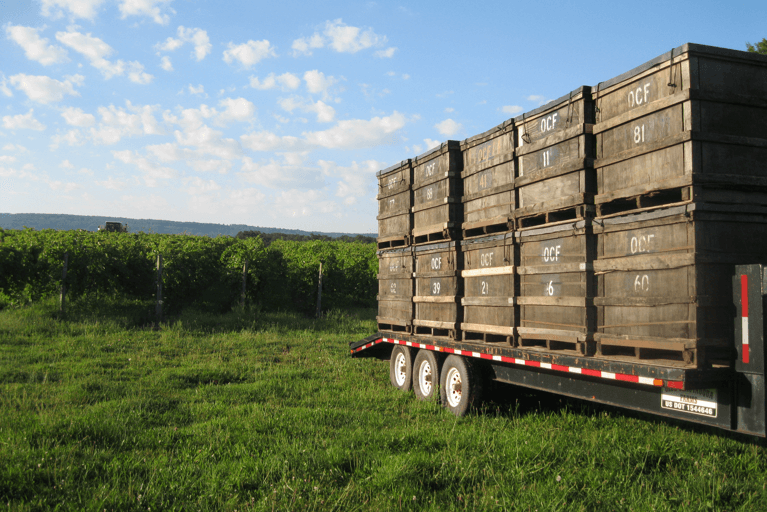 We are located right on Route 20 between Brocton and Westfield in Chautauqua County. Look for Ella the Elephant by the driveway welcoming you to 21 Brix!